SXSW as an Austinite parent means something quite different to me now as a tired parent of two energetic young girls as opposed to my first show in 2002. I love music as much as I always have, I actually LIKE hanging out with my family when I have time off work. I want to share events with them, so when all the hundreds of thousands of people who flock to Austin to come to SXSW each year, I want to run and hide at a local park with my family far, far away from the Dirty Sixth. HOWEVER, since Bill Childs (AKA Spare the Rock, Spoil the Child on KUTX 98.9, every Sunday at 6:00 pm) has been on my radar post-children, he and his many local accomplices have started doing FREE shows for kids and families during SXSW, and it has now become our tradition to go. These are FREE shows just for families and I’m excited to introduce you to one of the performers for this year! Laura Doherty is a nationally touring children’s performer and award-winning recording artist who will be performing at SXSW this year (Mar. 16-17, 2018)! Check her out LIVE in Austin! 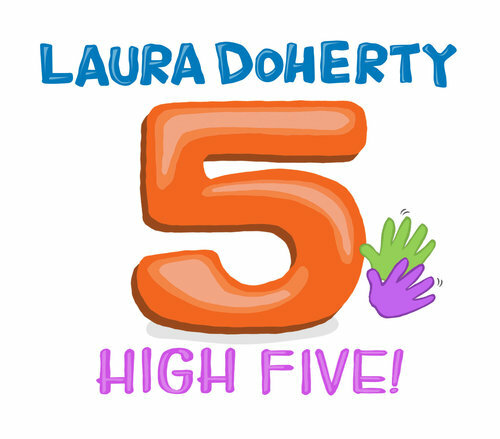 Laura Doherty is set to release her fifth kids’ CD, aptly named High Five on March 2, 2018 and will be here in Austin to perform during SXSW to showcase her newest songs! Inspired by the simple and affirming gesture itself, High Five brings together the themes of friendship, family and fun. Songs celebrating the joys of childhood, from first birthdays to the first day of school, make a heartwarming, upbeat album that appeals to listeners young and old. Curating a collection of songs that can be enjoyed by her oldest (now turning 8, just like my oldest!) and newest fans was a priority for Laura Doherty this time around. My family and I are looking forward to clapping and dancing along with Laura during SXSW this year! Keeping true to her folk-pop roots, High Five is chock full of rich, colorful acoustic instrumentation drawing upon fond memories from her childhood. Laura Doherty’s sweet and inviting voice are the highlight of the album. When paired with the lovely harmonizing vocals of long-time collaborator Cat Tager, songs like “Hide and Seek” and “Lucky Charm” give listeners of all-ages a warm, fuzzy feeling. The sounds of Andrew Wilkins on the upright bass in “Make a Friend”, an uplifting tune for anyone feeling lonely, perfectly compliment Laura’s signature melodious chord progressions. Three crowd pleasing dance anthems sure to get even the most reluctant wallflower on their feet take the album’s tempo up a notch. “Can’t Wait To Turn 8” and its jangly early 90’s pop inspired guitar riffs feature Grammy-nominated Justin Roberts on vocals. The album rounds out with fun, kid favorites like “Paulette the Purple Dragonette” where we meet a puppet inspired a friend from the moon and “Pasta Noodles” which pays homage to the mealtime staple while whisking listeners away to their favorite Italian trattoria. My family’s favorite song happens to be “Muddy Puddles” (we are BIG Peppa Pig fans!) because we love the lyrics and high energy of this bluegrass track. Don’t miss it! 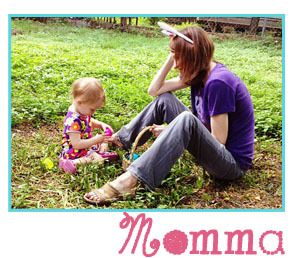 About Laura Doherty: Laura Doherty has been immersed in music throughout her life. Her first instrument, in the fourth grade, was clarinet, followed by piano at age 12. Soon after picking up the guitar when when was 16, Laura found her place in the acoustic-folk world. Guitar remains her primary instrument, yet Laura still loves piano and she dabbles on electric bass, mandolin, ukulele, and banjo. Landing in Chicago after college, Laura joined the teaching staff at the legendary Old Town School of Folk Music, where she served as director of the school’s early childhood Wiggleworms program for more than a decade and continues to teach today. 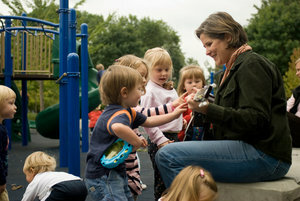 Before recording her own children’s albums, Laura co-produced the Parents’ Choice Gold-winning Old Town School of Folk Music compilation album, Wiggleworms Love you (2005) and, with Ralph Covert of Ralph’s World, recorded educational songs for Disney Sound. In 2009, Laura Doherty released her first of four kids albums Kids in the City followed by the equally endearing Shining Like a Star (2011), In a Heartbeat (2014), and Animal Tracks (2016) is a “best of” collection of Laura’s engaging animal songs. Often joined onstage by her band of Chicago talent, the Heartbeats, Laura has performed hundreds of shows at premier venues and festivals across the country, including Chicago’s Ravinia, Lollapalooza, Nashville’s Pilgrimage Fest, Philly’s World Cafe Live, and many more.